Looking for a Late Planting Option for your crop in Seward? Late planting introduces a complicated set of decisions. Will mudding in the crop have less impact on yield than waiting for better conditions? When do you need to switch to a different hybrid? 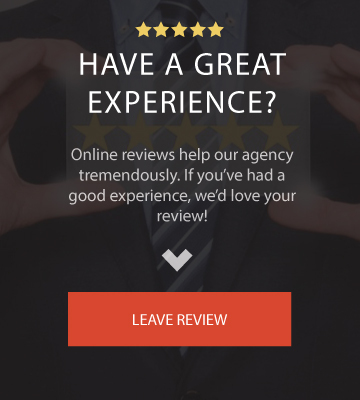 What to consider about forward marketing? Every day you’re late, your federal crop insurance policy coverage drops. A Late Plant Option (LPO) policy helps provide a margin of protection as you make planting decisions this spring. The LPO policy insures a portion of the production or revenue guarantee that is reduced under the federal crop insurance policy’s late planting provisions. Available for corn and soybeans in select states. Provides up to a maximum protection equal to 10 days (10 percent) federal crop insurance policy production or revenue guarantee on corn or soybean acreage planted after the federal crop insurance policy final planting date. LPO coverage on your acreage is based on the actual number of days late (up to the maximum protection limit) the insured acreage was planted. 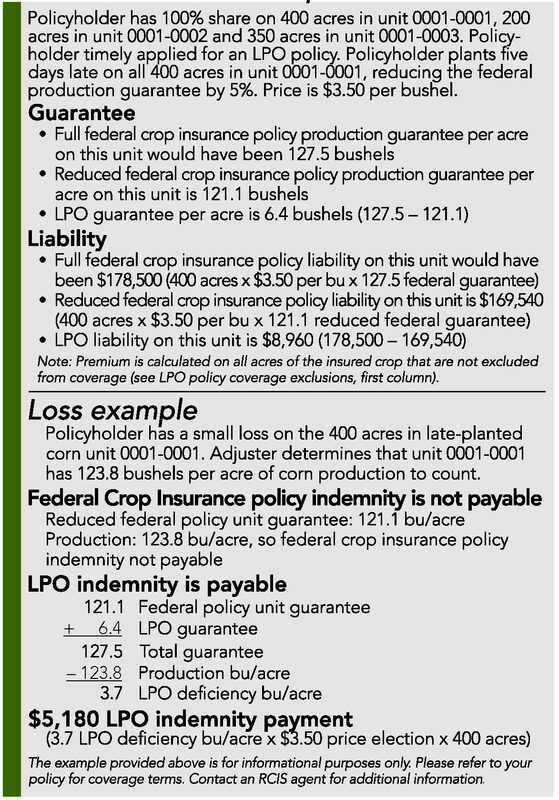 LPO indemnity is due if our adjuster determines the federal policy crop unit with late planted acreage production to count is less than the sum of the unit’s LPO guarantee and reduced federal crop insurance policy guarantee. To qualify for an LPO policy, you must have an active federal crop insurance policy for the crop(s) to be insured under the LPO policy. High-risk, unclassified, or uninsurable land per federal crop insurance policy county actuarial maps. Crops insured under the Catastrophic Risk Protection (CAT) Endorsement. 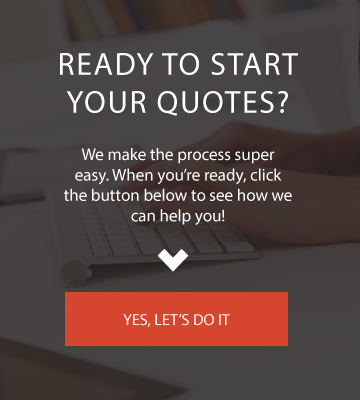 Acreage where your federal crop insurance crop coverage is authorized or modified by a written agreement. Second or double crops as defined in your federal crop insurance policy.